Details and Deals: I have had all of these items, with exception of the floral pencil skirt and pink enamel earrings for several years. You truly don’t have to spend a lot on your clothes and accessories. I think all too often people equate price with quality. Plenty of high-priced items are also quality items, but many discounted and clearanced items are the same quality if not better as the high-priced items. 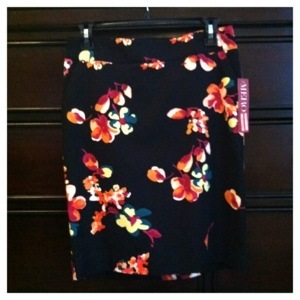 I found both the pencil skirt and earrings clearanced at Target. 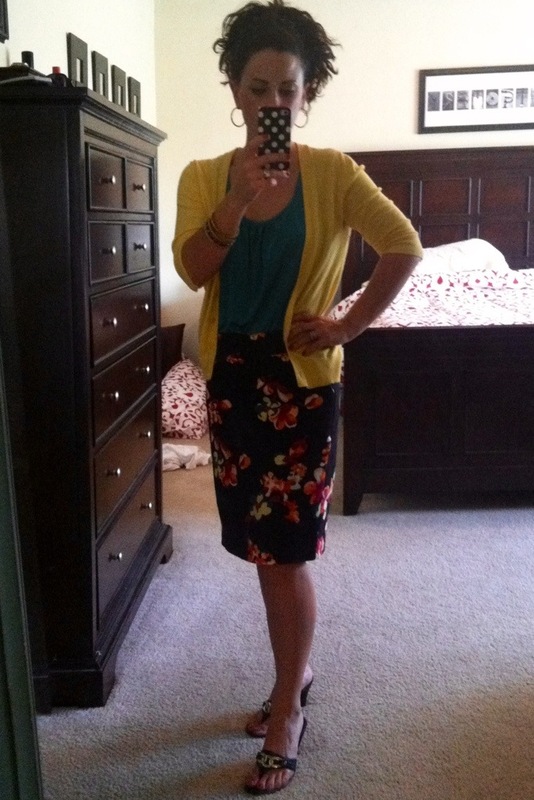 I love this floral pencil skirt, it is perfect for work and screams spring with the bright colors. 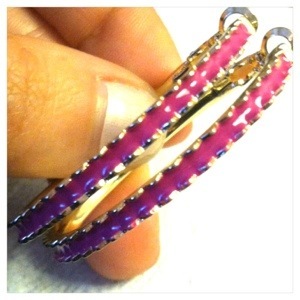 These earrings were a fabulous deal for $4.48.